Our MWS 330B Pellet Smoker is a durable workhorse with plenty of room to smoke your favorite foods. The clean-burning pellet system monitors the cabin temperature and adjusts the auger speed, feeding the correct amount of pellets to maintain the set temperature. With the integrated meat probe thermometer and digital control panel with preset smoke and cook cycles, you'll achieve competition-ready results in your own backyard. Master the art of smoking with Masterbuilt. Even a Bradley Smoker can get all dressed up to stay home. This 4- Rack Bradley Smoker has been spruced up for just that, thanks to Realtree Xtra Camo. Wrapped in the famous camo pattern perfect for fall, winter and early spring hunting, this Bradley Smoker is perfect for your backyard, or cabin. With easy-to-use jerky racks and sausage hooks included the Realtree Smoker is the perfect sidekick to end off any hunting trip. This highly adaptable unit allows you to retrofit almost any small structure into a smoke house. An old fridge with a hole in the side for the adaptor is ideal. This unit even comes with a blueprint for building your own smokehouse safely and easily. Whether its salmon, jerky, chicken or beef, no matter the food, people will follow the smoke that signals homemade succulence. The delightfully smoky aroma that permeates from a Masterbuilt smoker has a way of making friends and family flock around the smoker in the spirit of good times and good food! The Masterbuilt 44" Gas Smoker is a workhorse, with plenty of room to smoke all of your favorite foods. Whether you're smoking at home, or tailgating at the big game, this smoker brings the heat! There's a removable water pan for added moisture and an easy-to-read thermostat in the door. This extra-large capacity smoker has a viewing window, so you can watch your food smoke without opening the door. 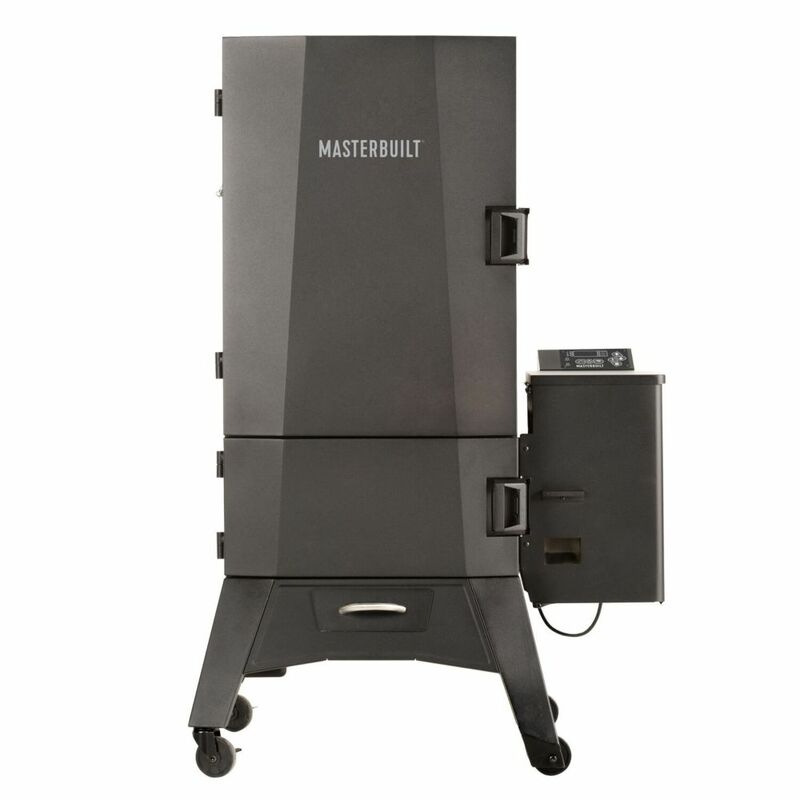 With easy pushbutton ignition and gas controls, Masterbuilt has made smoking simple. MWS 330B Pellet Smoker Our MWS 330B Pellet Smoker is a durable workhorse with plenty of room to smoke your favorite foods. The clean-burning pellet system monitors the cabin temperature and adjusts the auger speed, feeding the correct amount of pellets to maintain the set temperature. With the integrated meat probe thermometer and digital control panel with preset smoke and cook cycles, you'll achieve competition-ready results in your own backyard. Master the art of smoking with Masterbuilt. MWS 330B Pellet Smoker is rated 2.8 out of 5 by 12. Rated 1 out of 5 by KS from Main controller board didn’t work out of the box. ... Main controller board didn’t work out of the box. Still waiting on board. Just collecting dust until I get the board. Rated 1 out of 5 by Mike from Did not work! Junk!... Did not work! Junk! Rated 1 out of 5 by Frustrated from I ordered via the web. The top door arrived damaged and now their tech support said that my contr... I ordered via the web. The top door arrived damaged and now their tech support said that my controller board might also be bad due to a symptom I had the first time I used the smoker. Really frustrated so far. Rated 2 out of 5 by Keats from Have tried using it 3 times, and only once did it finish smoking the food without shutting down t... Have tried using it 3 times, and only once did it finish smoking the food without shutting down to an error code. Since the error code occurs after about an hour, I have not been able to contact the manufacturer to address the issues since I cant spend the time on a weekday to try again.